“And when Saul had come to Jerusalem, he tried to join the disciples; but they were all afraid of him, and did not believe that he was a disciple. 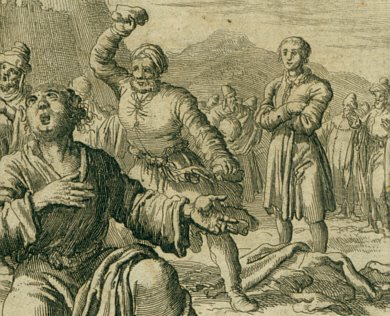 But Barnabas took him and brought him to the apostles.” (Acts 10:26-7, KJV) The man with the worst reputation among believers was shunned by the church, conversion or no. Let’s make just a couple of observations: if we have been doing wrong, then even if we repent and change, our past actions have consequences. Saul, the self-described “Pharisee of the Pharisees”, had been out there persecuting and killing Christians. He had gained a reputation before his conversion, and the reputation did not go away just because he said things were different now. It took some time, and he had to demonstrate that his life had really changed. As Saul discovered, having a change of heart doesn’t change the past. If you’ve ever wronged a loved one, and then asked for forgiveness, don’t be surprised if they are skeptical about your new attitude. It may be that you’ll have to show them that things really have changed. 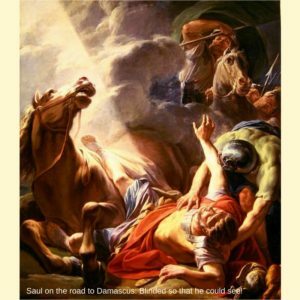 Saul was an outright enemy to believers, so when he told people about how he encountered Jesus on the Road to Damascus, his conversion didn’t seem possible to most folks. It’s not really surprising that when he tried to join the church, he was ostracized and rejected. Can you imagine how different the world would be if Saul had never been accepted by the church? If he had walked away, bitter and resentful? Imagine the consequences! Yet as Saul stood on the outside looking in, even when everyone was afraid of him and avoiding him, there was one man who looked beyond his fearsome reputation. Luke says this: “But Barnabus…” In the midst of paralyzing fear, it only takes one courageous person to get things moving the right direction. Saul had been guilty of horrendous things BUT Barnabus looked beyond them. Saul was not the kind of guy you’d want to sit next to at the covered dish supper, BUT Barnabus invited him… Saul had a terrible reputation and a checkered past, BUT Barnabus took him and brought him. Saul was not accepted into the church, BUT Barnabus brought him. Barnabus somehow saw beyond Saul’s past, and shepherded him into God’s fearful family. Without Barnabus, who knows? Perhaps Saul would never have become Paul. Perhaps an embittered and frustrated Saul might have slunk off, rejected and hurt, and gone back to persecuting Christians. What person outside of your church family is being excluded or marginalized? Who are you loving and bringing into the kingdom? Who watched as they stoned Stephen, and was feared by one and all. Undaunted by Saul’s former life or current reputation. And brought Saul right into the Apostolic delegation. And due to Barnabus, the world has never been the same. And realize that greeting someone is not small at all. Saul, a Pharisee from Tarsus, was a man striving to do the right thing. He obeyed the statutes to the letter, and he prosecuted blasphemers to its fullest extent. He was a brilliant, passionate man who feared God and wanted to do what pleased Him. 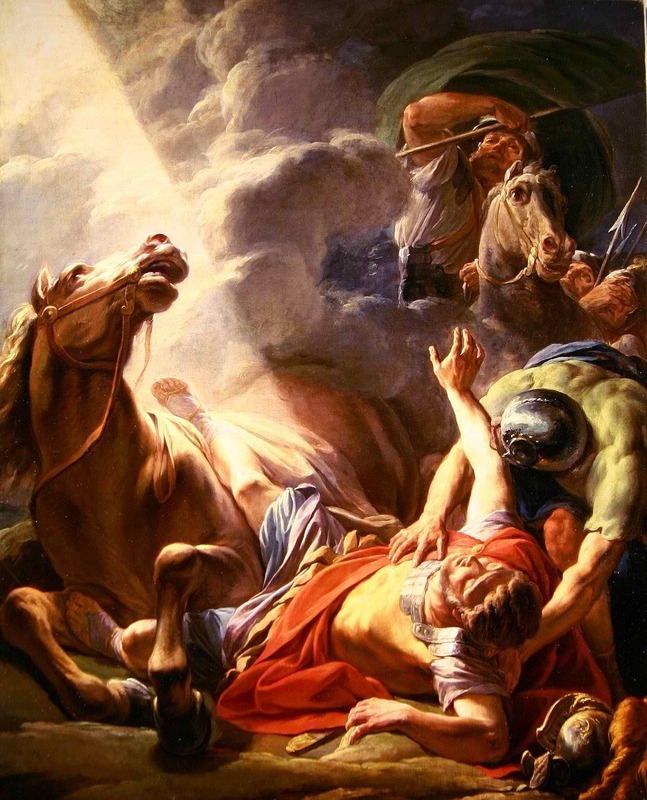 He was confronted by Christ on the road to Damascus (Acts 9), and had perhaps one of the most significant conversions to Christianity in history. His sight was taken from him for three days, and I am sure he came to grips with his own spiritual blindness as he waited for God to tell him what to do next. As a powerful Pharisee, he originally saw the law as a means to earn God’s favor. As a sightless pilgrim, he grasped the concept of grace, and he came to understand that the law’s purpose was not to save, but only to condemn. In Romans 3:20 he said “Therefore no one will be declared righteous in God’s sight by the works of the law; rather, through the law we become conscious of our sin.” In Romans 4:15 he said “the law brings wrath.” Religion that is built upon law will always fail for two reasons: 1) The law exists only to demonstrate that men will fall short of its standards and face the wrath of a righteous God; and 2) all men will fall short of its standards. The Apostle Paul (as Saul is known to us) knew that the law hates sinners, and he called himself the “chief of sinners”. Paul and all of us sinners were doomed under the law’s rigid standards. When Saul encountered Jesus, he stood before Christ not as a righteous Pharisee or even as a good man, but as a sinner. So it is with all of us. Often one of the biggest obstacles we have in discovering God is our own sense of righteousness. Don’t ever let doing good take the place of discovering Grace. Paul says that where sin abounded, grace did much more abound. 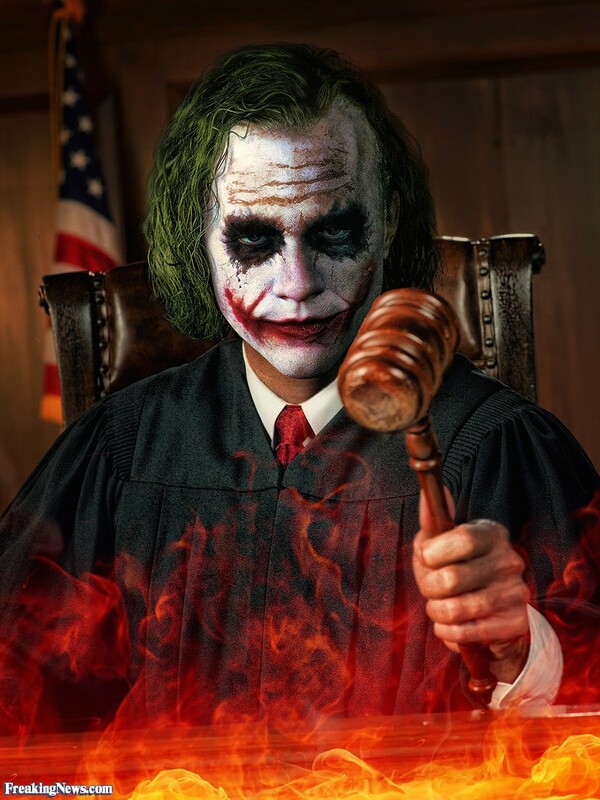 If, like me, you are a sinner who has done wicked and dishonest things, who has failed the legal requirements in so many respects, that is amazingly good news! Whatever your sins, whatever you have done to break the law, Grace is greater. That changed your heart and changed your mind? To see the hopelessness of law? That turned you towards amazing grace? That Grace could more than sin abound? Your righteousness from Grace was real! Of Grace–that fell on you—could fall on me.